I'm interested in how we can use artificial intelligence to create more intelligent and humanistic social systems, institutions, and structures. We used lessons from collective intelligence of human groups to inform the design of evolutionary optimization algorithms for deep reinforcement learning tasks. Human-inspired, sparse network topologies provide a multiplicative effect on learning speed and performance in a benchmark reinforcement learning task over the state of the art. Using high-resolution location data collected from mobile phones, we develop a novel measure of social activity-space segregation in urban space. We find that different categories of places exhibit different segregation patterns, and that exposure to people of different income and race is mediated by the median income of a users' home census tract. We developed an open-source set of tools that are capable of augmenting and measuring face to face communication between people at scale. Using simple unsupervised machine learning techniques to discover the dynamics of political "framing" between parties and congresspeople. We found that Republicans tend to have higher party discipline, that they tend to talk more about economy and budget, and that Democrats have a more varied set of common vocabulary. Using topic modeling and autoregressive distributed lag models to make sense of the public statements released by congresspeople. 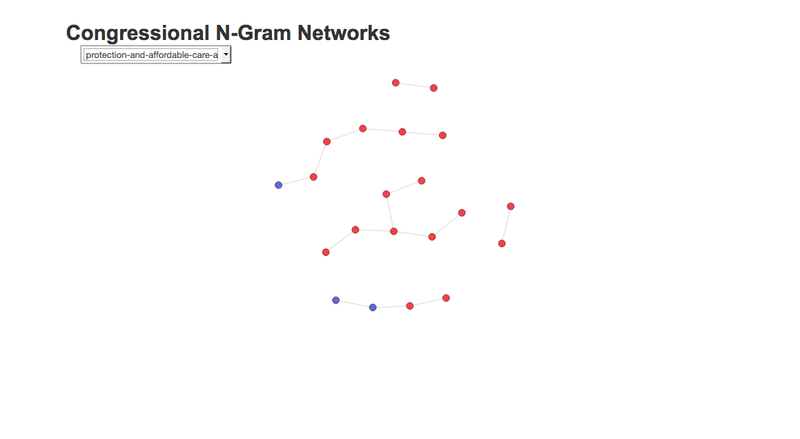 Using sentiment analysis to understand the networked naming relations between actors accused of being communists during the McCarthy era. Submision for Hack MIT 2014, won "Best use of Jawbone UP API". Turn data you generate daily into an experience you can consume. 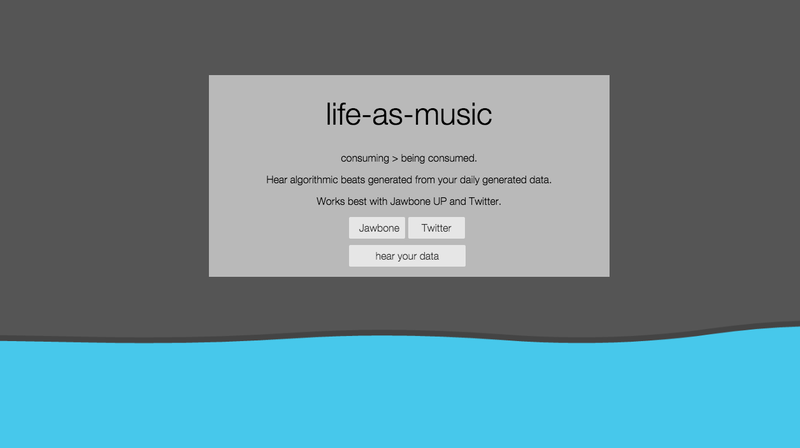 Life as Music is a generative algorithm that creates original music from your twitter and jawbone UP fitness data. 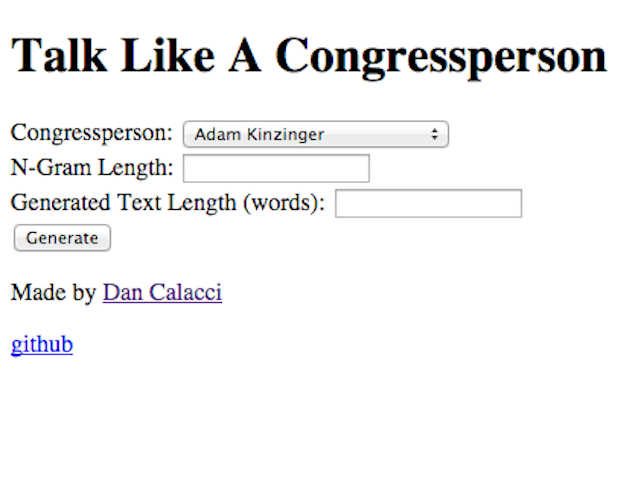 This was created as part of a research project to map the similarities between congresspeople's language. Each node is a congressperson, and a link between congresspeople indicates that they said that same phrase within 3 weeks of one another. 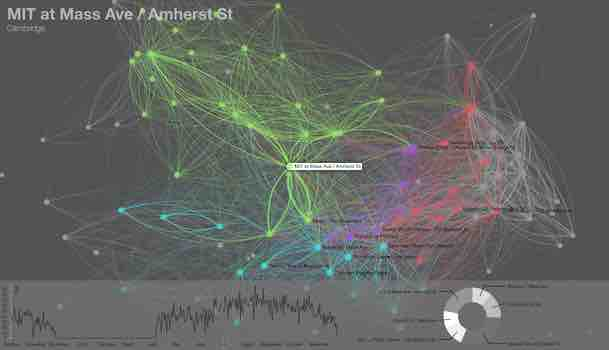 An interactive visualization of Boston's Hubway bike sharing system. Each node is a hubway station, and there's an edge between two stations if there were more than 50 trips between them in the dataset. Colors represent communities detected by the Louvain community detection algorithm. I trained a simple n-gram model on the public statements of all congresspeople from 2014, with some fun results. Most Innovative at Hack Beanpot 2014. 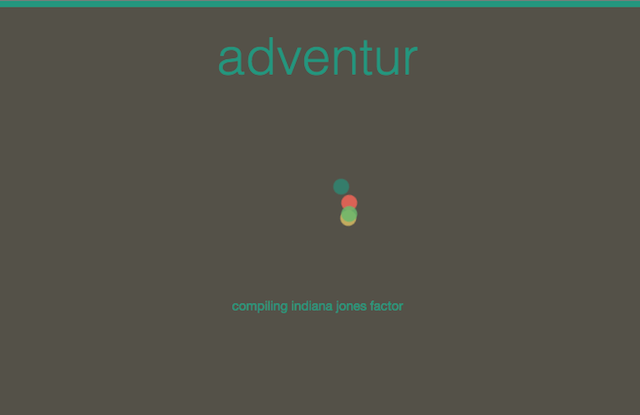 Adventur uses an n-gram based geotrace model to predict your future movements and quantify how predictable you are. It then uses this information to help you become more adventurous by recommending new places to visit that will optimize your "adventurousness" score. 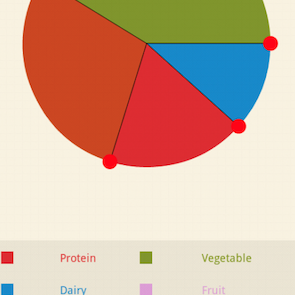 A way to quickly and easily log meals. Built for a class final project, the design of this app was developed through paper prototyping and extensive user testing.